Even the idea of root canal treatment can seem a little daunting to people that don’t really understand what it is. I’m sure you’ll be happy to hear though, that root canal treatment with today’s technology is not unlike getting a filling for some and can generally be completed in only a couple of sittings. Firstly the enamel – this is the visible white, protective part of the tooth that is probably most likely to get damaged. Just below the enamel is the dentin – this surrounds the nerve, offering extra protection for the more sensitive part of the tooth. Beneath the layers of dental and dentine enamel is the dental pulp – the pulp is a soft tissue that contains the nutrients and nerves, creating feelings of hot and cold. The pulp is located in the root canal of the tooth and the tooth may contain single or multiple canals. 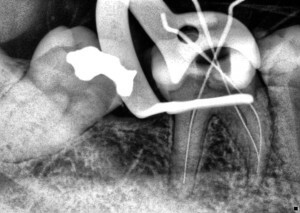 Finally there’s the cementum that glues the root of the tooth in place. 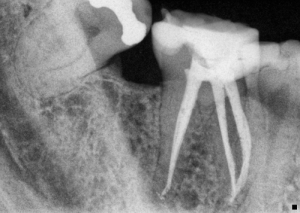 Extreme wear of tooth surface. After these steps are followed, if the tooth is infection free it will be sealed with a long-lasting rubber and covered with a filling. where the damage is beyond a filling, the dental professional will likely recommend to cap the tooth with a crown in order to strengthen the tooth structure. This step might need a few more appointments though depending if the root canal is free of infection, but your Family Dental Clinic – West End dentist will explain all this and more about your root canal treatment once you’ve given us a call and booked in your appointment with us.